The adidas Speedfactory in Atlanta is now open for business, and it’s been pumping out sneakers since day 1. 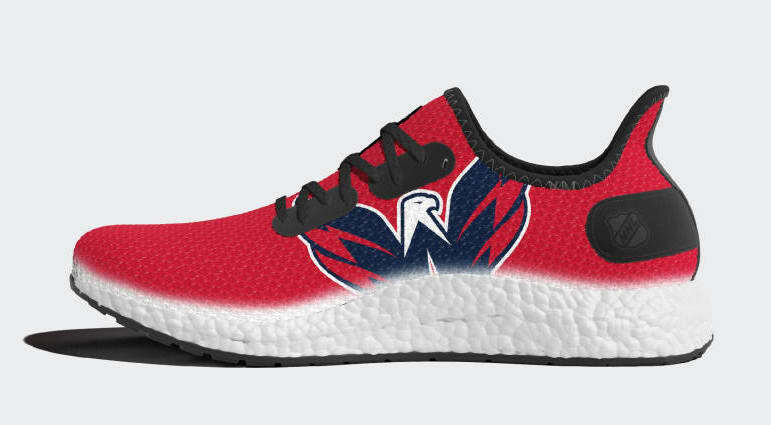 The latest release came as a surprise drop last night, celebrating this year’s Stanley Cup winners, the Washington Capitals. 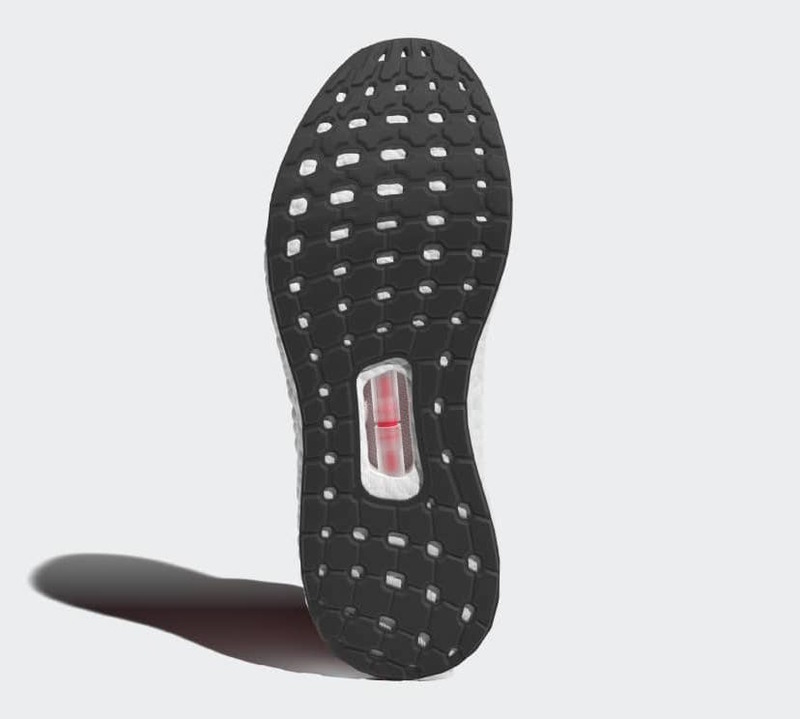 The adidas Speedfactory initiative is one of the brand’s most exciting new technological advances. If you haven’t been keeping up with the process, don’t worry, it’s lightning quick. 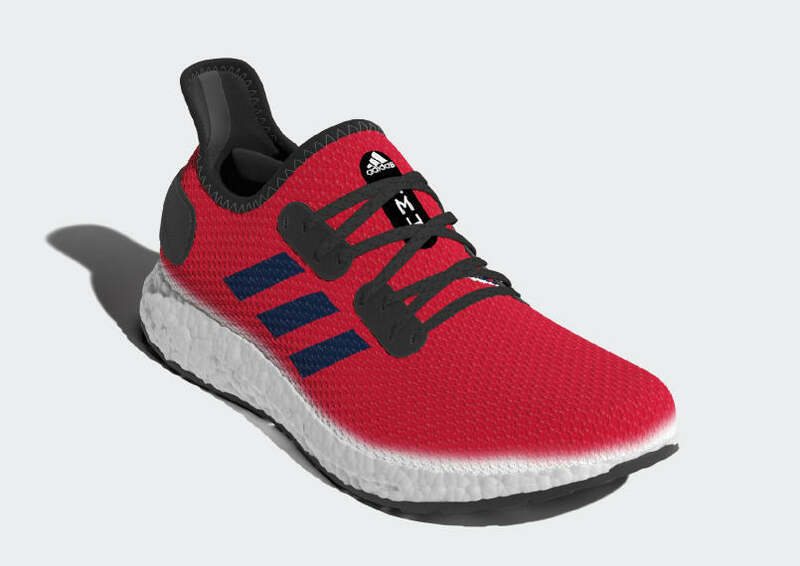 The Speedfactory allows the Three Stripes to design, develop, and produce a shoe in a matter of weeks. 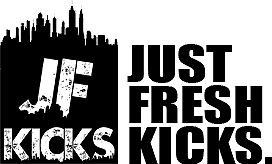 The AM4 series is the best example of this, with adjusted versions of the shoe launching for specific cities. Each pair is tested and developed in the individual city in collaboration with runners from the area. However, the next release from the new Atlanta factory is even more unique. The adidas Speedfactory AM4LA is now being produced to honor the new NHL champions. Last night, the Washington Capitals bested the newly minted Las Vegas Golden Knights in game 5 of the Stanley Cup Finals, winning 4 to 3. 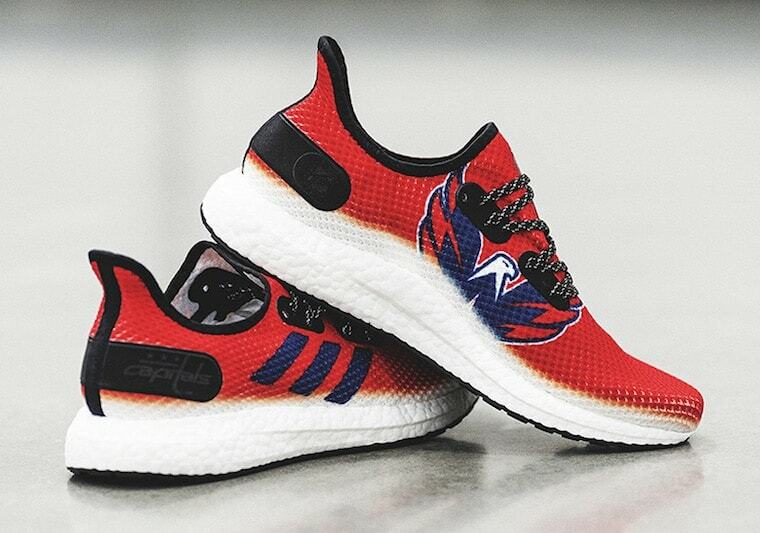 To commemorate the franchise’s first-ever championship, the Three Stripes is spinning the Los Angeles AM4 with a new Capitals twist. 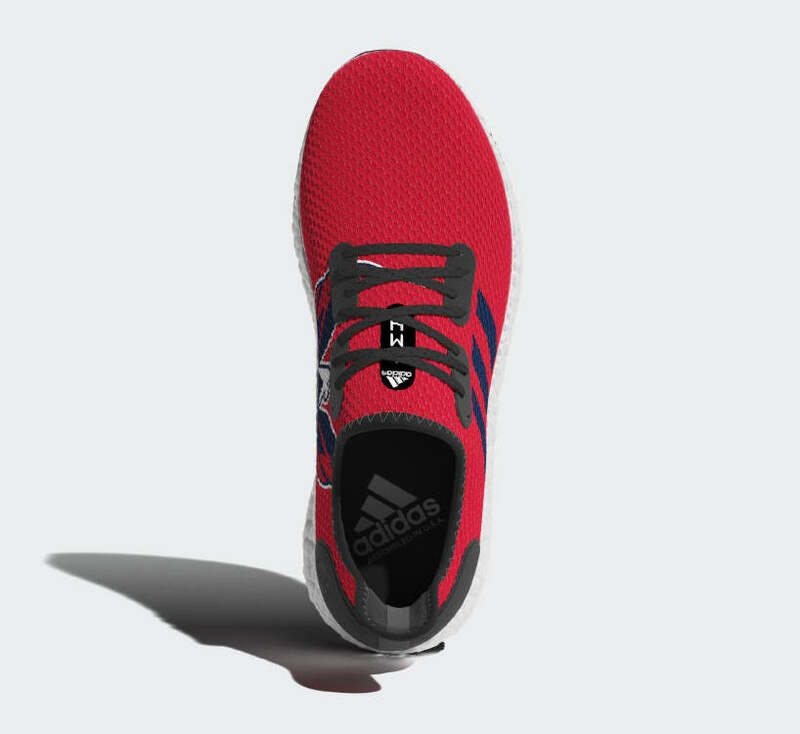 The knit upper comes in a bright red color which fades to white just above the Boost midsole. The supportive taping used on the AM4LA comes in black, while the lateral stripes come in a navy blue. 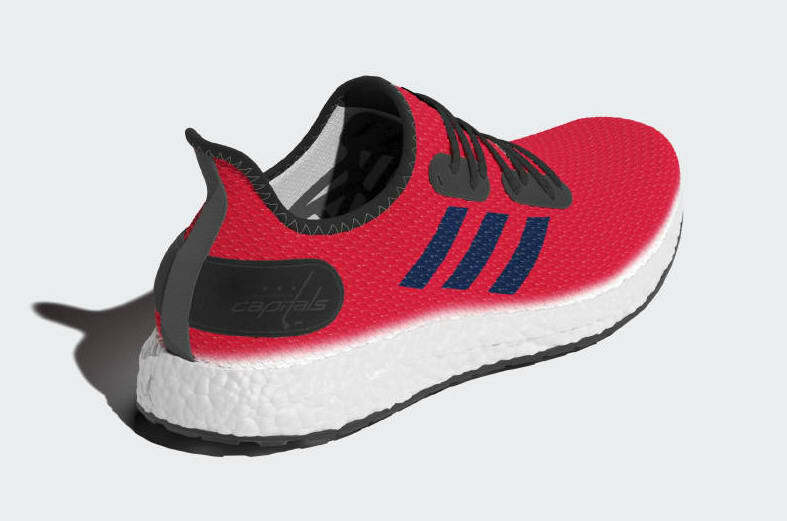 On the inner side, the Caps logo takes over, a first for the AM4 upper. The new adidas SPeedfactory AM4LA for the Stanley Cup Champs will release on June 21st, 2018. 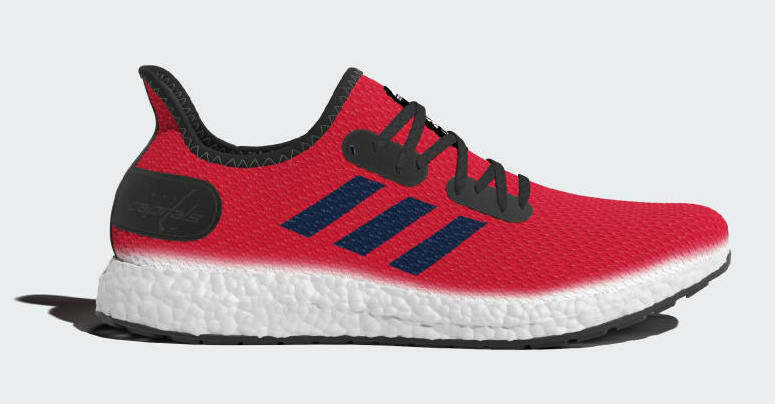 The shoes are currently in production in Atlanta, though they are available from adidas for pre-order now at $200. Check out the official images below for a better look at the special NHL AM4, and stay tuned to JustFreshKicks for more adidas Speedfactory news.